Here’s a look at the Democrats who have thrown their hats into the ring. We’re going to keep updating this list through the campaign season as candidates announce their intentions or drop their bids. • Sen. Amy Klobuchar, 58, of Minnesota. The three-term senator was born in Minnesota and returned to her home state to practice law after attending Yale University and getting her law degree at the University of Chicago. • Sen. Elizabeth Warren, 69, of Massachusetts, was appointed as assistant to the president and special adviser to the Treasury secretary in order to launch the Consumer Financial Protection Bureau. She was also appointed to a congressional oversight panel overseeing the $700 billion Trouble Assets Relief Program that was passed in response to the 2008 financial crisis. • Sen. Cory Booker, 49, of New Jersey. Booker, who boasts a Twitter following of more than 4 million people, gained national recognition during his tenure as Newark’s mayor, at times answering pleas to shovel residents out after major snowstorms. • Former Secretary of Housing and Urban Development Julián Castro, 44, of Texas. He is the son of a Chicana activist, and his mother worked for better opportunities for Mexican Americans, the Dallas Morning News reported. • Former Rep. John Delaney, 55, of Maryland. A self-made businessman, Delaney at one point was the youngest CEO on the New York Stock Exchange. • Rep. Tulsi Gabbard, 37, of Hawaii. Gabbard is the first American Samoan and the first Hindu member of Congress. • Sen. Kamala Harris, 54, of California. Harris, a former California state attorney general, is the daughter of Jamaican and Indian immigrants and grew up attending both a Baptist church and a Hindu temple. 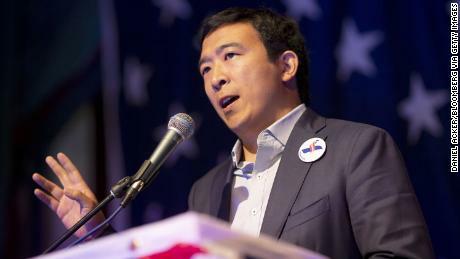 • Businessman Andrew Yang, 44, of New York. Yang is an entrepreneur who launched Venture for America, a fellowship program that aims to connect recent grads with startups. • South Bend Mayor Pete Buttigieg, 37, of Indiana. He served as a naval officer in Afghanistan. • Sen. Kirsten Gillibrand, 52, of New York. She comes from a political family: as a child, she campaigned with her grandmother Dorthea Noonan, a longtime president of the Albany Democratic Women’s Club. 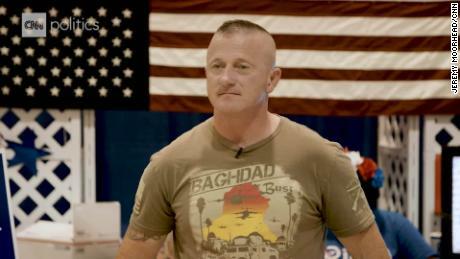 • Former congressional candidate Richard Ojeda, 48, of West Virginia (dropped out January 25, 2019). A former Army paratrooper, he served for 24 years, earning the rank of major and serving in both Iraq and Afghanistan. CNN’s Steve Brusk, Riddhi Sarkar and Katie Bernard contributed to this report.